(WASHINGTON, D.C.) An analysis of the recently-released 2014 U.S. Department of Transportation (U.S. DOT) National Bridge Inventory database finds good news and bad news when it comes to the most heavily traveled U.S. bridges. The good news is that there are over 2,000 fewer structurally deficient structures than there were in 2013. The bad news is that it means more than 61,000 structurally deficient bridges are still in need of significant repair. And it is a problem that hits close to home. The analysis of the federal government data, conducted by American Road & Transportation Builders Association (ARTBA) Chief Economist Dr. Alison Premo Black, shows cars, trucks and school buses cross the nation’s 61,064 structurally compromised bridges 215 million times every day. Not surprisingly, the most heavily traveled are on the Interstate Highway System, which carries the bulk of truck traffic and passenger vehicles. The bridge problem could get a whole lot worse soon, Black warns. The federal Highway Trust Fund (HTF) is the source of 52 percent of highway and bridge capital investments made annually by state governments. The HTF has suffered five revenue shortfalls between 2008 and 2014, and has been bailed out with nearly $65 billion in revenues from the General Fund just to preserve existing investment levels. 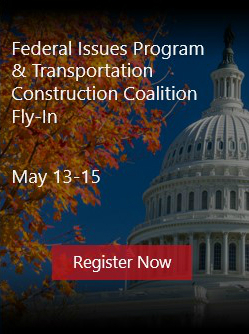 The latest extension of federal highway and transit funding through the HTF expires on May 31, absent congressional action. Nearly a dozen states so far have canceled or delayed road and bridge projects because of the continued uncertainty over the trust fund situation. ARTBA expects that number to increase as the deadline nears. “State and local governments are doing the best they can to address these significant challenges, given limited resources,” Black says. Bridge investments have been growing in recent years, Black says, but it has come at the expense of highway and pavement spending, which has dropped over 20 percent in the last five years. “Without additional investment from all levels of government, our infrastructure spending will be a zero-sum game,” she said, noting that there is a current backlog of over $115 billion in bridge work and $755 billion in highway projects, according to U.S. DOT data. While these bridges may not be imminently unsafe, ARTBA believes that signs should be posted so the public understands they have structural deficiencies that need repair. The 250 most heavily crossed structurally deficient bridges are on urban interstate highways, particularly in California. Nearly 87 percent of these bridges were built before 1970. Pennsylvania (5,050), Iowa (5,022), Oklahoma (4,216), Missouri (3,310), Nebraska (2,654), California (2,501), Kansas (2,416), Mississippi (2,275), Illinois (2,216) and North Carolina (2,199) have the highest numbers of structurally deficient bridges. The District of Columbia (14), Nevada (34), Delaware (48), Hawaii (61), and Utah (102) have the least. At least 15 percent of the bridges in eight states—Rhode Island (23 percent), Pennsylvania (22 percent), Iowa (21 percent), South Dakota (20 percent), Oklahoma (18 percent), Nebraska (17 percent), North Dakota (16 percent) and Maine (15 percent)—fall in the structurally deficient category. State specific bridge information from the analysis—including rankings and location lists of the 250 most heavily travelled structurally deficient bridges in the nation and top five most heavily travelled in each state—is available at www.artba.org/bridges. Established in 1902, the Washington, D.C.-based ARTBA is the “consensus voice” of the U.S. transportation design and construction industry before Congress, the White House, federal agencies, news media and the general public.